Opening the doors at Marquette’s first-ever Jewish synagogue. Marquette may be known for its iron ore port and breweries, as the home of Northern Michigan University or even the 2012 CBS MoneyWatch listing as one the 10 best places to retire in the U.S. 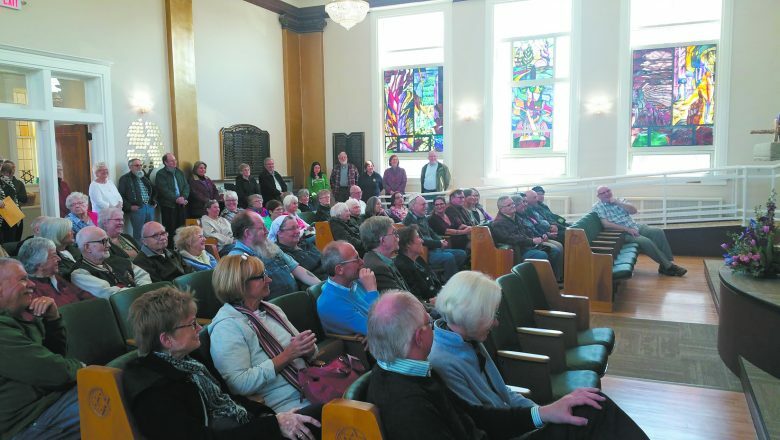 But recently, the largest city in Michigan’s Upper Peninsula added “first-ever synagogue” to its welcoming venues and, on May 12, some 200 guests came out to celebrate and tour the new home of Temple Beth Sholom (TBS). After decades in the congregation’s original site in Ishpeming — owned and built by the membership in 1952 — the group is now settled in downtown Marquette, a 20-mile drive away, where the majority of the area’s Jewish community resides. Being able to show off their new place of worship and share the history of the congregation at the recent open house and reception was the culmination of a 10-year search for property and a year-and-a-half of renovations. “We were overcome by the turnout and support of locals and visitors to the area,” said Shannon Ruiz, TBS president. Always looking to reach out beyond the local Jewish community, the 30-family congregation has regularly opened its doors to visitors, vacationers, college students and those who work in the area. Guests fill the new Temple Beth Sholom sanctuary in Marquette. “We are already seeing an increase in participation and enthusiasm and, as a result of the open house, we are going to start hosting summer services,” Ruiz said. In the past, Shabbat services have been held from fall through spring, largely due to the availability of some 50 rabbinical students from the Cincinnati-based Hebrew Union College-Jewish Institute of Religion (HUC-JIR), who have officiated for the congregation through the years. “However, given our new location, with Marquette being more of a tourist town with more visitors during the summer months, the board has decided to try lay-led services during the summer of 2018,” said David Perlove, TBS vice president. 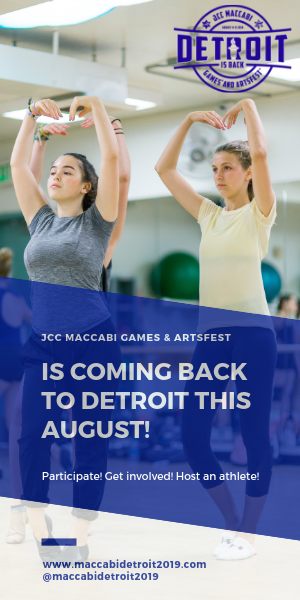 New social and spiritual art activities will also be offered this summer, through a grant from the Ravitz Foundation Initiative for Small Michigan Jewish Communities. 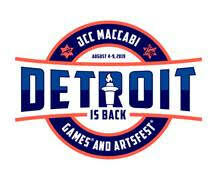 TBS was founded in the 1940s in the home of Willard and Lois Cohodas when Willard began teaching a Torah study class to five area children after taking a correspondence course offered by the late Rabbi Morris Adler of Congregation Shaarey Zedek, then in Detroit. Eventually, students’ mothers joined Cohodas and a consultant from Minneapolis to write the curriculum. High Holiday services were held in various locations until, in 1951, the Cohodas’ young nephew, Howard, asked why the town did not have a synagogue. Plans began for a building to be constructed in Ishpeming on land donated by the Cleveland Cliffs Iron Company. A groundbreaking ceremony took place in June 1952, with a building dedication the following year. 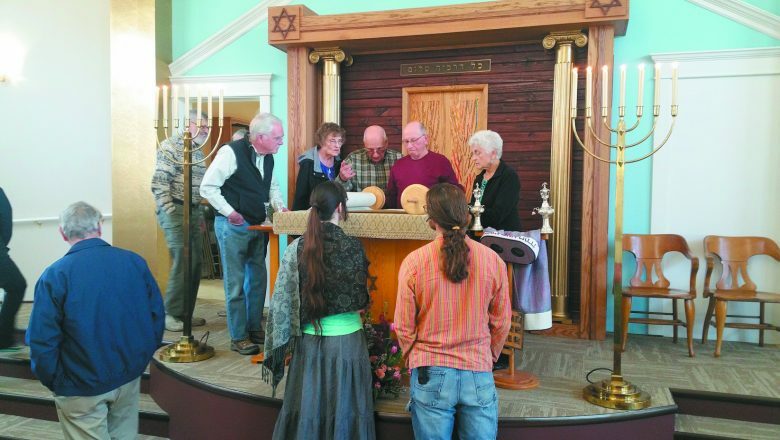 Two families, the Fines and Lowensteins, each gifted a more than 100-year-old Torah to the congregation, transported from Lithuania to the UP. With no regular rabbi, Willard Cohodas often led services, until the arrival of HUC-JIR student rabbis, some bringing instruments and songs in recent years. 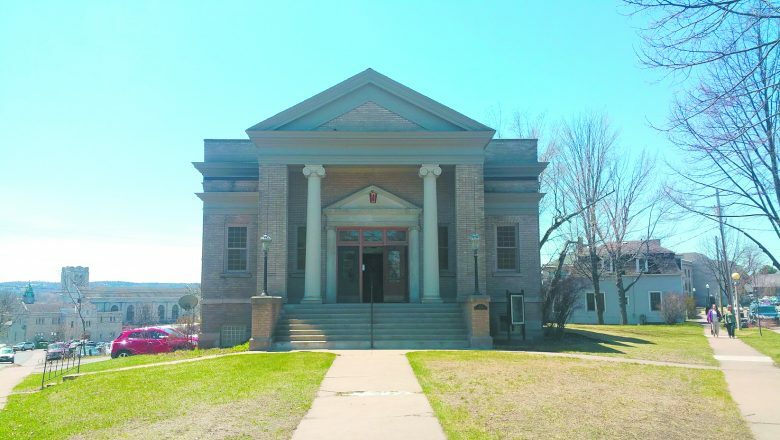 The congregation’s first High Holiday service held in the Ishpeming building was conducted by Professor Emeritus Rabbi Abraham Cronbach, who had just months before eulogized Julius and Ethel Rosenberg, who had been executed by the U.S. after being convicted of committing espionage for the Soviet Union. The Reform congregation remained in its original building for more than 60 years, beginning the move to the new site in May 2017. At that time, a “deconsecration service” included a celebration of congregants dancing the synagogue’s two Torah scrolls down the aisles and transporting them, along with other religious items, to the new building, which was purchased in December 2016 and renovated with congregational funds and a capital campaign that included a substantial anonymous donation. The dedication and sanctification service held at the open house was led by Rabbi Samuel M. Stahl, who served as the TBS rabbinical student-rabbi from 1964-65, and is married to Lynn Cohodas Stahl, the daughter of one of the synagogue’s founding couples. The congregation hosts once-a-month Shabbat programming, when HUC-JIR student rabbis come to town, beginning with Friday night services. B’nai mitzvah preparations are also offered during these visits, with some continuing through digital recording and videoconferencing. The next rabbi weekend is Friday, Aug. 10, for an 8 p.m. Shabbat service, with adult Torah study at 10 a.m. Saturday, Aug. 11. “Additionally, TBS sponsors an annual seder and participates with the surrounding interfaith community in Holocaust Remembrance Day events,” Perlove said. TBS’s new building, long-ago named “the Citadel,” was built in 1925 as a Christian Science church, later becoming an event venue and then an apartment complex, before it was transformed into the synagogue. Surrounded by three Christian churches, the synagogue, with its Greek revival columns, has been a longtime landmark in the city’s center. The handicapped-accessible facility includes a vertical wheelchair lift running from the main area of the building up to the sanctuary and down to the social hall, and there is a ramp leading to the bimah. A mezuzah, created by 90-year-old Holocaust survivor Martin Lowenberg, a frequent speaker at the Holocaust Memorial Center in Farmington Hills, now hangs in the new synagogue. Much of what is inside the building is new, but original pews and other religious items were transported from the Ishpeming building to Marquette. Stained glass windows depicting the Ten Commandments, Shabbat and the High Holidays — designed for TBS by artist A. Raymond Katz in 1952 that hold historical landmark status — have been remounted. The building houses a sanctuary, social hall, library, three kitchens and storage areas — and an apartment to house the student rabbi and guests. Gottlieb said, “One of the reasons we were excited to move from Ishpeming to Marquette is that, since the temple was founded in the 1950s, the Jewish population, never large to begin with, shifted from one city to the other.” The move is largely attributed to the growth of Northern Michigan University (NMU) — with both an active Hillel and Jewish Student Union — and the UP Health System-Marquette regional hospital whose staff make up a large portion of the congregation’s membership. With the next closest synagogue, Temple Jacob, located 100 miles from Marquette in Hancock, the congregation is hoping to attract more members and visitors, as well as NMU students, and is happy to offer tours of the new building. Marquette, with a population of 21,355, is a draw for those looking for everything from fishing, camping and live theatrical productions to walking and biking trails, beaches, skateboard parks and a golf course featuring panoramic views of Lake Superior. “Having a Jewish community and synagogue in such a beautiful part of Northern Michigan is the best of both worlds,” Perlove said. For information on Temple Beth Sholom, go to www.tbsmqt.org or contact Shannon Ruiz at tbsmqt@gmail.com or (906) 362-3388 or David Perlove at dperlove@charter.net.